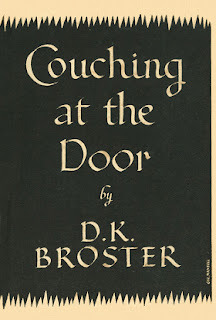 D K Broster is most known in the field of supernatural fiction for her excellent story of an ageing Decadent and an animated feather boa, ‘Couching At the Door’. But, as Mike Barrett shows in his survey of her short stories in Wormwood 26, she contributed other ghostly tales to periodicals and these are often quietly accomplished. A frequent theme is supernatural vengeance across the ages, but there are also stories of obsession and of uncanny qualities locked into ancient objects. Mike Barrett's articles appear regularly in the New York Review of Science Fiction, The British Fantasy Society Journal and Wormwood. 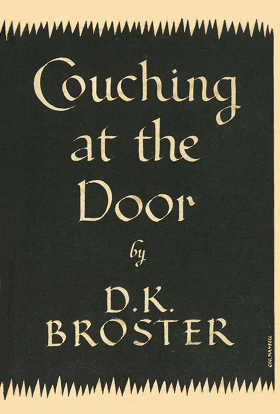 His first book, a collection of essays on fantastic literature entitled Doors to Elsewhere, was published by The Alchemy Press in 2013 and was nominated for the British Fantasy Award for best non-fiction title of the year.